Request a Free Landscaping Quote and We'll Call You! Provide your desired service, name and phone number and we'll call you as soon as we receive your submission. ​Are you ready to create the outdoor getaway that you’ve been dreaming about since you purchased your home? Are you looking for a landscape designer in Tampa that you can trust to create a practical and attractive landscape design you’ll love? Medscape’s design team will work closely with you to bring your vision into reality. We will take the time to learn about your preferences and ideas, and to find out what you need from your outdoor areas. ​We will also take your budget into consideration and help you develop realistic solutions. Whether you want an impressive curb view for the front of your home, an area of quiet solitude in your side yard, or a backyard built for get-togethers and entertaining, we can create it just for you. Or maybe you’re ready to turn your lawn care over to someone else, giving you more time and freedom to travel, pursue your career goals, indulge your fly fishing hobby, or whatever else you need to be doing right now instead of mowing the grass. But you also still want the careful attention to detail and extra effort that you have always put into your yard to continue. So who do you hire? Don't take it from us. Read what our customers have to say! 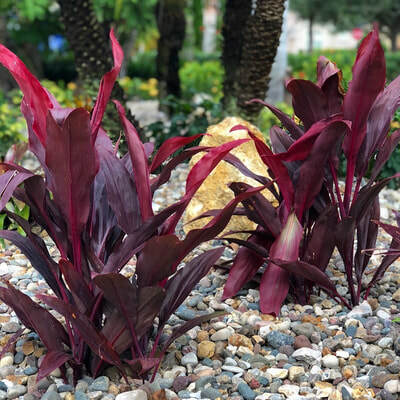 Commercial and Residential Landscaping: My Tampa Landscaping can provide the following services to both your home and business or commercial properties: residential developments, retail businesses, corporate offices. Call us for a consultation, and we’ll work with you to develop a plan for all your properties. Landscape Installation: After we have worked with you to plan the best design for your outdoor area, our team will get to work on the landscaping installation. You can count on us to get the ball rolling in a timely manner, to complete the job within the planned schedule and to install the landscaping elements correctly. And we will work hard to bring the planned design to life. ​For larger jobs, we will keep you informed about the project’s progress. Our goal is to continue giving customers the same great service that has kept us in business as a Tampa landscaper for over three decades. Landscape Design: We are the team you need for all your landscaping in Tampa, starting with the design for your outdoor areas. Professional landscape design can improve both your enjoyment of your home and its property value. It can also improve your business’s public image and make a good first impression on your customers. 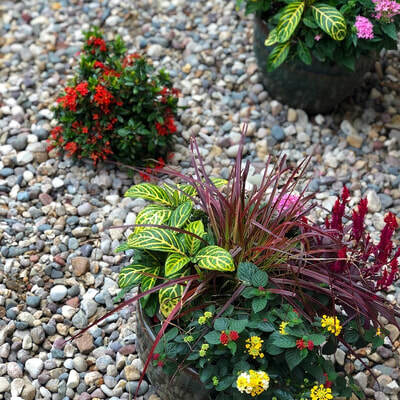 ​And, the right design may also decrease the amount of maintenance that your landscaping needs by including the best suited flowers, plants, and shrubs for your property. Whether you want your entire yard designed or a small outdoor oasis for relaxing or entertaining, we can help you plan the perfect design for you. Hardscaping: Landscape installation includes more than the living elements of your design. 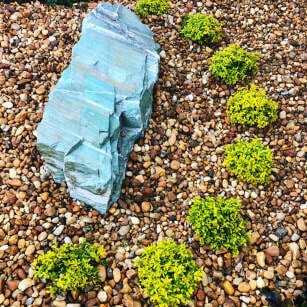 It also includes the harder elements such as stepping stones, gravel, decorative rocks and boulders. These elements serve several important purposes. They provide visual interest, adding additional colors and textures. They provide paths for accessing garden and seating areas and an impressive way to mark entrances. And they help ground your design and give it a sense of permanence amid the ever-changing live growth. ​As your first choice for landscaping in Tampa, we’ll coordinate all the elements in your outdoor area for both beauty and function. Landscape Maintenance: Once the landscaping is in place, we can provide regular maintenance to keep your investment in top shape. We'll keep your shrubs and plants pruned back, keeping them healthy and in an attractive form, and we’ll keep your garden areas cleanly edged. We will also remove and replace faded and crumbling mulch and monitor the health of your plants and flowers. 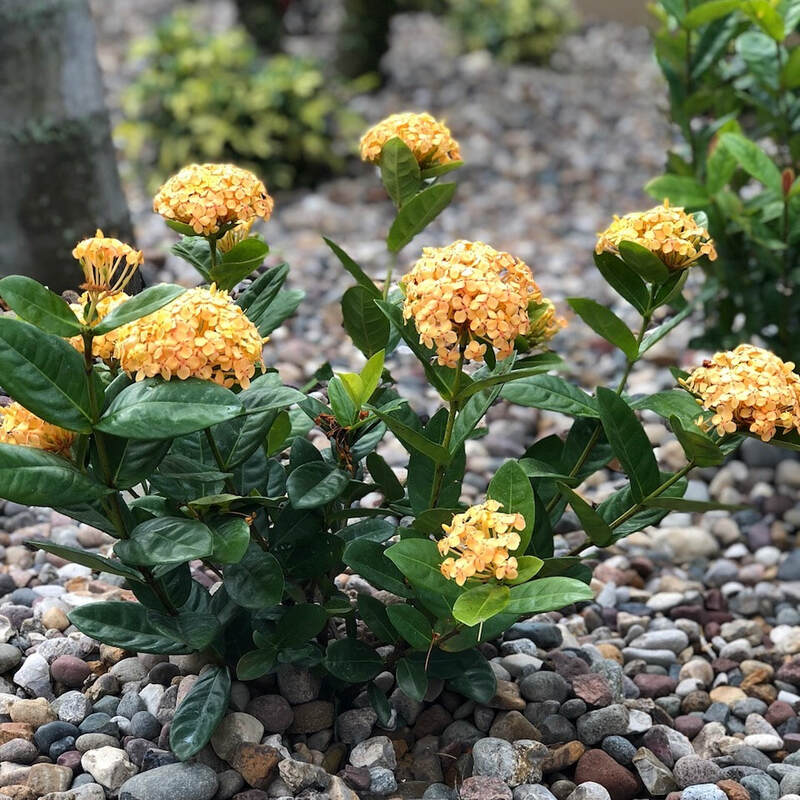 My Tampa Landscaping can also rotate seasonal flowers if that is part of your landscaping plan and contract, and we will deadhead existing flowers to encourage more blooms. We will also keep an eye on your lawn, de-thatching, aerating, and reseeding as needed. Full Service Lawn Care: Even if we did not install your landscaping, we can still provide full service lawn care for your home or business. We will set up a schedule with you for mowing and trimming your grass. Our team will also trim and edge along your walkways and curb, de-thatch and aerate your lawn as needed, blow and remove leaves, trim your hedges and small palms and keep your garden area free of weeds. ​We’ll work with you to establish a yard care plan and schedule that meets your needs and budget and keeps your green space looking fabulous. Whether you want basic lawn mowing, major assistance a few times a year, or a complete lawn care schedule, we’ll work with you to create a plan. Lawn Fertilization: Part of caring for your yard is making sure that your soil is properly fertilized. Over-fertilizing, applying the wrong kind of fertilizer, or applying fertilizer at the wrong time can be wasteful and potentially even damage your plants and grass. But the right mixture applied at the right time in the right amount can significantly improve the health and strength of your plants, shrubs, flowers and turf. Let us, your local Tampa landscaper, check your soil and provide you with the fertilization solutions you need to keep your greenery growing. Property Cleanups: An overgrown or business property can be an overwhelming job, especially if you are working alone or don’t have the best tools for the job. But with our experienced staff and professional equipment, we can remove unwanted bushes, shrubs, brush, leaves, and weeds quickly and efficiently. We can also cut back and shape the plants and bushes that you want to keep and carefully remove weeds around existing perennials. ​Let My Tampa Landscaping clean up your lawn care disaster zone and make it a usable and attractive part of your property again. Irrigation & Water Drainage: Proper irrigation is vital to maintaining the health of all your plants, bushes and lawn. My Tampa Landscaping partners with an irrigation company to ensure that your irrigation is set up to meet your landscape’s specific needs, using high quality Rain Bird irrigation systems. We can also address minor drainage issues by installing attractive French drains as needed. And water management can also be addressed by choosing the correct plants for your area and by keeping your lawn properly aerated for good soil drainage. Every step of what we do works toward maximizing water’s benefit on your property while avoiding water waste or water damage. Tree Services: Not all landscape designers in Tampa are equipped to include tree service in what they offer. But My Tampa Landscaping sees trees as part of the overall design and maintenance of your green space. We can integrate existing trees into your design or plant small new trees as part of your long-term plan. We also provide tree pruning and trimming. Tree trimming is important, not only for the health and appearance of your trees, but also for the safety and appearance of the surrounding area. Overgrowth can create too much shade for areas of your yard and garden that need sunlight. And overhanging or dead limbs can damage buildings or pose a safety hazard. Our trained and insured staff can safely remove them to protect you and your property. Have you planted shrubs and flowers, only to lose your investment during a period of low rainfall? Or are you worried about erosion caused by water drainage problems? Are you tired of having to avoid wet areas in your yard? 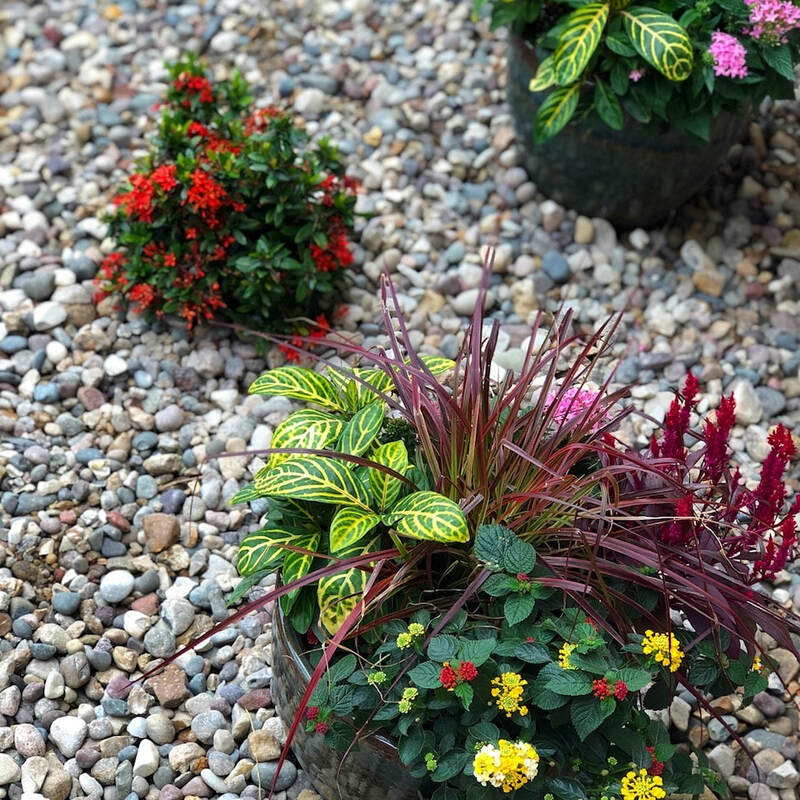 In addition to creating and maintaining the natural beauty of your yard, we can also help address your property’s needs for water distribution. We partner with an irrigation company, which allows us to work together so that the installed irrigation systems provide your new landscaping with the right amount of watering in exactly the right places, using high quality Rain Bird irrigation systems. We can also address minor drainage issues with attractive French drains that can be blended into the landscape design, helping to prevent unwanted wet areas and standing water, which can be a health issue as well as a nuisance. 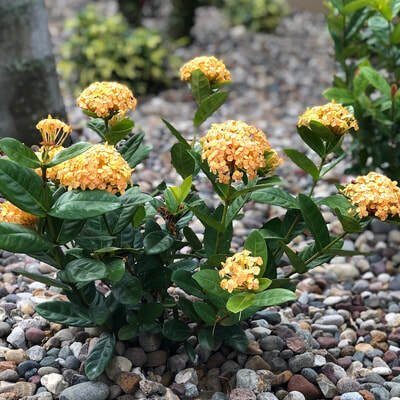 And we will plan the plants in your Tampa landscaping design with your property’s water management in mind, choosing the right plants for your yard’s specific environment. Have you have purchased a business or home that has an overgrown property? Or has your busy schedule caused your yard to fall into a state of serious neglect? Call us! While not all landscapers in Tampa may offer property cleanup services, we are willing to tackle those jobs. Clearing the overgrowth without assistance or the right tools can range from overwhelming to impossible. But our Tampa Bay landscaping team can bring that piece of wilderness back into civilization for you and quickly make it a usable area again. We handle both small and large cleanup jobs. Whether you just need weeds carefully removed from a flower bed, leaves and twigs raked or blown, unsightly brush cleared, or plants and bushes trimmed back, shaped or removed, we can handle it. Have you been looking for someone with the skill to trim back and shape your trees? Your search is over! Not all Tampa landscaping services are equipped to handle tree trimming, but at My Tampa, we see trees as an integral part of your property’s overall design. If we are designing landscaping for you, we will integrate your existing trees into the overall plan to produce a more natural and attractive result, and we can even plant small new trees. We also provide tree maintenance as a stand-alone service. When trimming trees, we shape the tree in a way that preserves the tree’s health and appearance, while also putting safety first. Don’t try to trim them yourself and risk damaging your tree, falling, or brushing against electrical wires. Let our trained and insured team handle it and just enjoy the finished results. Whatever your reason for calling My Tampa Landscaping today, you’ll be glad you did!